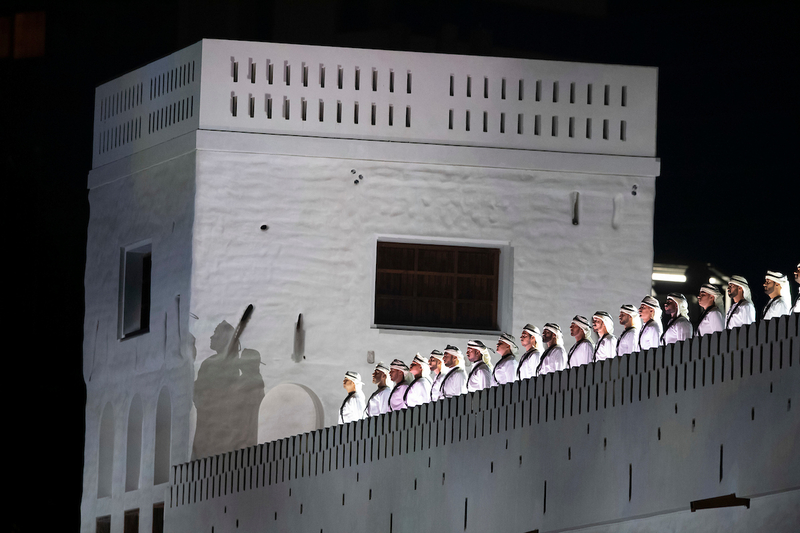 Abu Dhabi: His Highness Shaikh Mohammad Bin Zayed Al Nahyan, Crown Prince of Abu Dhabi and Deputy Supreme Commander of the UAE Armed Forces, on Wednesday opened the historical cultural site of Qasr Al Hosn, the oldest and most significant heritage site in Abu Dhabi. 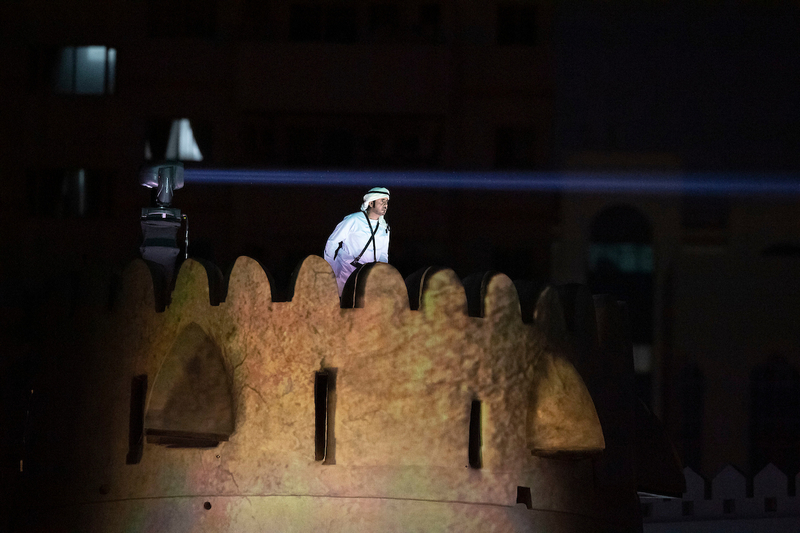 Shaikh Mohammad said that the area showcases Abu Dhabi’s ancient history, as the fathers and grandfathers built the landmark with determination while pointing out that through their cohesion and solidarity, and due to their sacrifices, everyone is now living in a modern country that has a prestigious stature among nations. 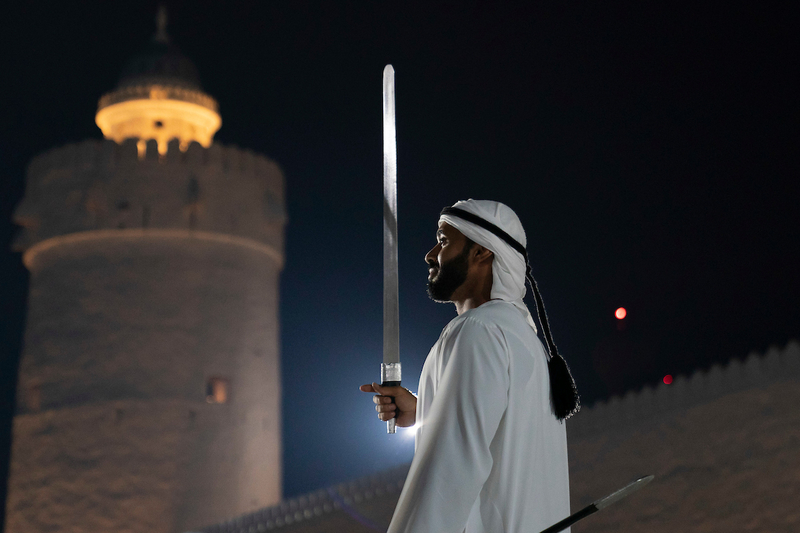 Shaikh Mohammad expressed his happiness and pride at the re-launch of the site, which is a historic landmark of the UAE’s ancient society and rich heritage. “We are inspired by the values of the grandfathers and founders, and we recall their inspiring stories and convey their heritage, culture, values and civilisation to future generations,” he said. The opening ceremony was attended by Dr. Amal Abdullah Al Qubaisi, Speaker of Federal National Council; Shaikh Abdullah Bin Zayed Al Nahyan, Minister of Foreign Affairs and International Cooperation; Shaikh Tahnoun Bin Mohammad Al Nahyan, Abu Dhabi Ruler’s Representative in Al Ain Region; Suroor Bin Mohammad Al Nahyan; Shaikh Hazza Bin Zayed Al Nahyan, Deputy Chairman of Abu Dhabi Executive Council; Shaikh Essa Bin Zayed Al Nahyan; Shaikh Mansour Bin Zayed Al Nahyan, Deputy Prime Minister and Minister of Presidential Affairs; Shaikh Hamed Bin Zayed Al Nahyan, Chief of the Abu Dhabi Crown Prince’s Court; Shaikh Theyab Bin Zayed Al Nahyan; Shaikh Khalid Bin Zayed Al Nahyan, Chairman of the Board of Zayed Higher Organisation for Humanitarian Care and Special Needs, ZHO, and Shaikh Diab Bin Mohammad Bin Zayed Al Nahyan, Chairman of the Department of Transport. 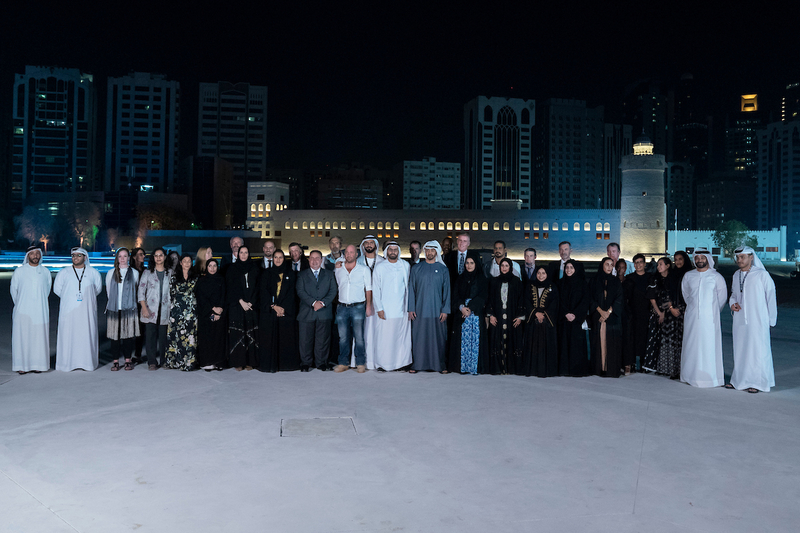 During the ceremony, Shaikh Mohammad, the other Shaikhs and dignitaries and the attendees toured the area and learnt from Mohammad Khalifa Al Mubarak, Chairman of the Department of Culture and Tourism in Abu Dhabi, about the reconstruction and renewal of the Qasr Al Hosn, which was transformed into a museum that showcases the history of Abu Dhabi. The Outer Palace was constructed by Shaikh Shakhbut Bin Sultan Al Nahyan in the 1940s. The rooms display the stories of the people who lived in the Palace and their everyday lives. Visitors will explore the personal quarters of Shaikh Shakhbut Bin Sultan Al Nahyan, or part in the Ruler’s Majlis. Films, interactive displays and oral histories bring these stories to life, together with original artefacts and treasures from the past. The inaugural exhibition of ‘Artists and the Cultural Foundation: The Early Years’ features more than 100 works by local artists active in the institution’s early days in the 1980s and 90s. Curated by Maya Allison, Chief Curator and Executive Director, NYU Abu Dhabi Art Gallery, with Alia Zaal Lootah, Senior Curatorial Assistant, Louvre Abu Dhabi, Artists and the Cultural Foundation will reflect on the building’s history as a convener of artists and creatives and its role in nurturing a cultural scene in the UAE Featuring historical and modern works by key UAE artists whose careers launched at the Cultural Foundation, as well as several new commissions, the exhibition will be a visual and symbolic representation of the artistic diversity of the UAE. 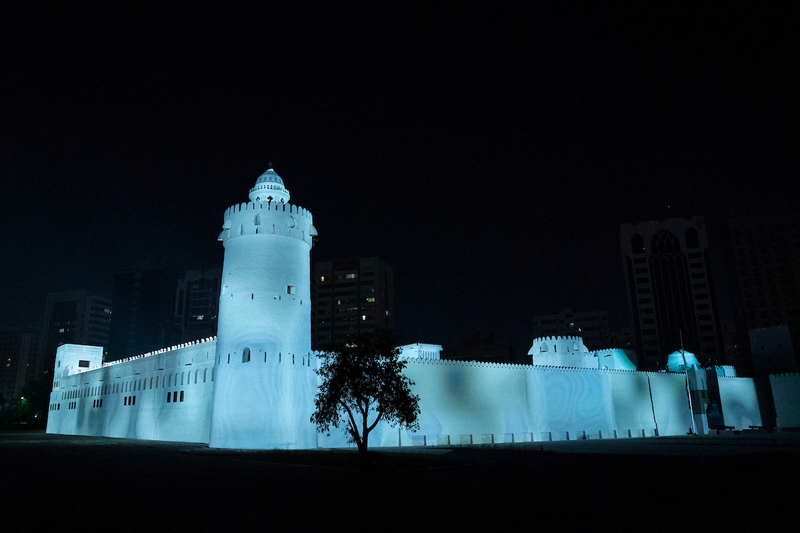 Artists and the Cultural Foundation: The Early Years traces points of connection and divergence among these early cohorts of Cultural Foundation artists, inviting visitors to reflect on the past and present of Abu Dhabi’s home-grown art community. Located on Al Hosn, alongside Qasr Al Hosn and the Cultural Foundation, the House of Artisans is an initiative dedicated to the safeguarding and promotion of the UAE’s intangible heritage. Exhibitions, workshops and training courses focusing on traditional Emirati handicrafts such as Al Sadu (weaving), Khoos (palm frond braiding) and Talli (embroidery) will enable the all-important transmission of knowledge and skills around these crafts, ensuring their future survival. The crafts represented in House of Artisans celebrate the creative and artistic relationship between the people of the United Arab Emirates and the locally available natural resources. Within the diverse landscapes of the UAE — from the desert, to the oases, to the coast and sea — artisans have developed skills to meet functional and economic needs. The crafts made through these skills show a deep artistic sensitivity. Shared from generation to generation, this intangible heritage now preserves not only the practical skills but also the shared values associated with Emirati identity.